You can just feel it, can’t you? Ski season is just around the corner. Already, we have reports of serious snow on the Tetons, and the venerated Old Farmer’s Almanac predicts plenty of snow for the Rockies throughout the winter months. So, October is your perfect time in Jackson Hole to gear up while... Read More. You can just feel it, can’t you? Ski season is just around the corner. Already, we have reports of... Read More. Jackson’s Annual SHIFT Festival Presents Yvon Chouinard of Patagonia, Chris Johns of National Geographic, Mark Bittman of the New York Times and Ski Racer Angel Collinson October 7 – 10. If you care about beautiful wild places like Jackson Hole, the magnificent Teton Range and Yellowstone and Grand Teton national parks, you’ll want to... Read More. Jackson’s Annual SHIFT Festival Presents Yvon Chouinard of Patagonia, Chris Johns of National Geographic, Mark Bittman of the New... Read More. 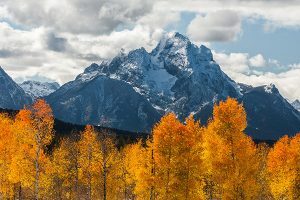 As we turn the corner into the Teton’s always-spectacular autumn, one of the Rocky Mountain West’s most eagerly anticipated cultural events ramps up. The Fall Arts Festival in Jackson Hole is scheduled September 9 – 22. With renowned artists in furniture making, jewelry design, painting, sculpting, fashion and food—and wine!—there’s something for every Jackson... Read More. 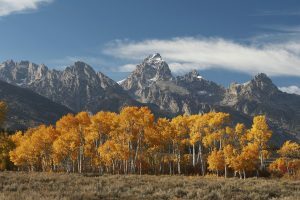 As we turn the corner into the Teton’s always-spectacular autumn, one of the Rocky Mountain West’s most eagerly anticipated... Read More. The seasons have been changing in Jackson Hole. Our beautiful autumn has come and gone, and a blanket of snow on the mountains has completed the switch to winter. With over 100″ of total snowfall already this season, the skiing at Jackson Hole Mountain Resort has been incredible. Watch the seasons change in the... Read More. The seasons have been changing in Jackson Hole. Our beautiful autumn has come and gone, and a blanket of... Read More. Fall is in the air here in Jackson Hole. The aspens are changing colors, reminding us all that change can be a beautiful thing. We’re leaving behind the heat of summer, days filled with hikes through wildflowers and evenings full of s’mores and beers by a fire. To be honest, most of us here... Read More. Fall is in the air here in Jackson Hole. The aspens are changing colors, reminding us all that change... Read More.